Mastering service with high-end analog equipment. Optimized for every format: iTunes, vinyl, CD (Redbook standard), and any other digital format. 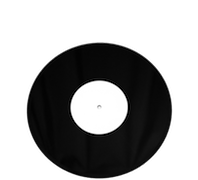 We offer to new clients the opportunity to get a mastering preview of 1 min free! Mastering Audio mastering with high-grade analog outboard. Delivered as WAV file 16 or 24 bits. Possibility to transfer it on tape. and depth to the sound. Charged per minute of music recorded, digitization included. Cassette Recording Master recorded on Metal or Chorme cassette, for punchy and warm sound. Stem Mastering Stem mastering with high-grade analog equipment. Max 6 stems. Delivered as WAV file 16 or 24 bits. Possibility to transfer it on tape. Vinyl master cutting on lacquer in our partner studio in Berlin. This price includes the cut only, the mastering process is not included. Other Services Audio restoration from cassette, vinyl, DAT, digital. High quality mp3 encoding. * All prices are subjected to 19% VAT. If you have an EU VAT number or you live outside Europe we don't need to apply VAT. Cutting on real vinyl (PVC), same quality and durability of pressed records. 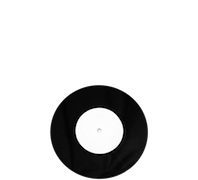 From any source format: digital files (wav, aiff or mp3), cassette, 1/4" Tape, CD or DAT, including optimization for vinyl. 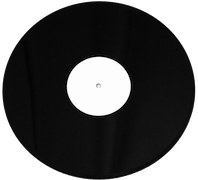 Check the Vinyl Dubplate page for more info and tips to get a great sounding record. Mixing service, realized according to your requests and needs, using high-end analog equipment and top class plug-ins. Get more infos about our Mixing process. Mixing Audio mixing with high-grade analog outboard and digital plugins. Including EQing, dynamic processing, level balancing, denoising, reverb and other processing. Possibility to record the mixdown on tape. For every other project, like analog enhancement, music production, arrangement or sound design contact us to explain your idea and get a detailed quote. Contact us here. Duplication in real-time with top quality Tascam equipment ensuring great frequency responce and very low distortion. We accept bank transfer, Paypal or cash. Shipment of the final product will be after the payment.